No official nominees had been announced this year. Synopsis: Harriet and Queenie Mahoney, a vaudeville act, come to Broadway, where their friend Eddie Kerns needs them for his number in one of Francis Zanfield’s shows. Did You Know? A silent version was also released as many cinemas hadn’t yet acquired sound equipment. I will admit that I didn’t hate it this time as much as I did the first time I watched it. I still found it to be superficial and nothing special. 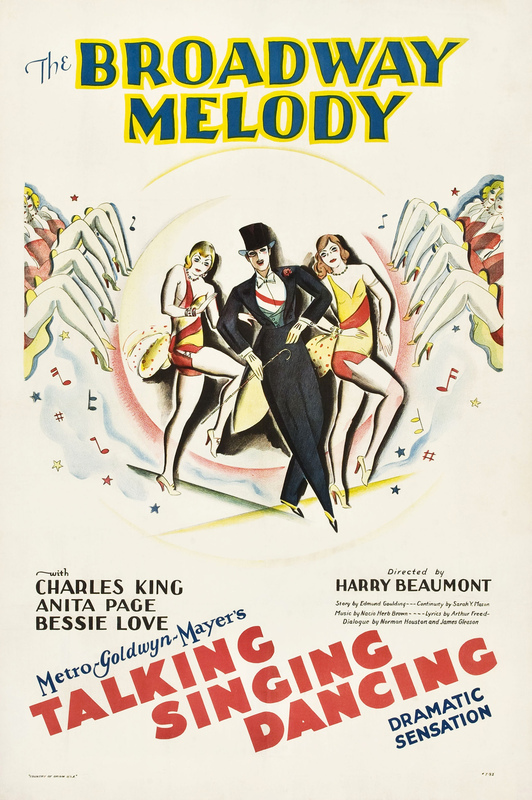 The repetition of the song “The Broadway Melody” was very annoying, even though I actually enjoyed the song; I don’t think the film can really be considered a musical, when it’s pretty much the same song being played over and over, ad nauseum. I still don’t like the film, but at least I don’t hate it anymore.